Location: 7770 W. Grand Parkway S, Suite B-1, Richmond, TX 77406. Next to Starbucks and Small Cakes. We love our first responders. 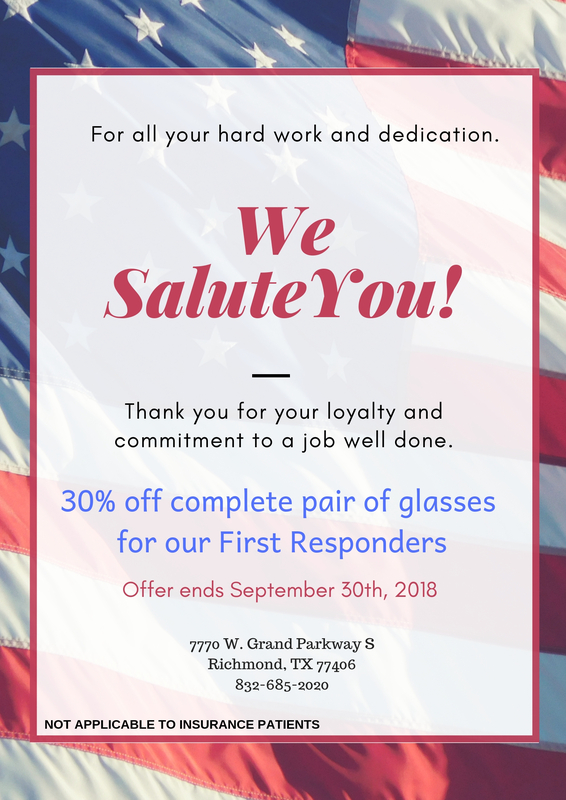 For the month of September, all first responders get 30% off their complete pair of glasses. Grand Opening = A Grand Success! RICHMOND EYE EXPERTS 2016 | All Rights Reserved.